I started it as a practice run for the blog I was eventually going to have that would be all about Cártaí Rúbaí - my little Irish language greeting card company. 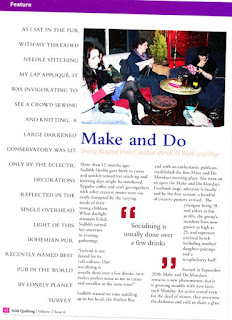 When the card website was being completed the designer suggested that I start the 'real' blog so that I could attach a link from the site... but I was heavily pregnant... and feeling a bit overwhelmed... and besides, I was enjoying sharing little snippets of my life through this blog. It was 'real' enough for me. "Just attach Where Wishes Come From", I said. "It can be a sort of 'girl behind the business' type thing - like what this girl does". Who was he to argue with an emotionally fraught, pregnant woman?... And so here I am... still writing about pretty much everything EXCEPT Cártaí Rúbaí. Maybe it's because things have been relatively quiet with the business since the girls were born. I mean I am still getting orders out and my head is full of new designs (though, said designs have yet to materialise in printed format) and there is constant interest etc... but I suppose my focus has been elsewhere since April 2010. 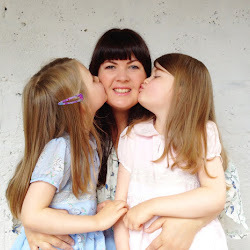 These days, though, as I have started to find my stride as a mother of twins and as our days have fallen into a steadier rhythm, things have started change. Cártaí Rúbaí is starting to come into focus again for me and I have a feeling it will start to find a more prominent place in my days. 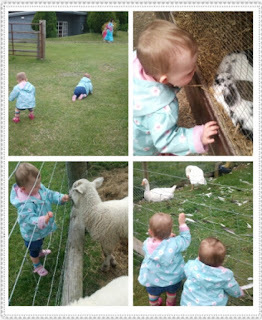 So, although I'd love to be telling you all about our Father's Day trip to the farm. Yes, I have a friend that works for Gucci. And yes, she is amazing. 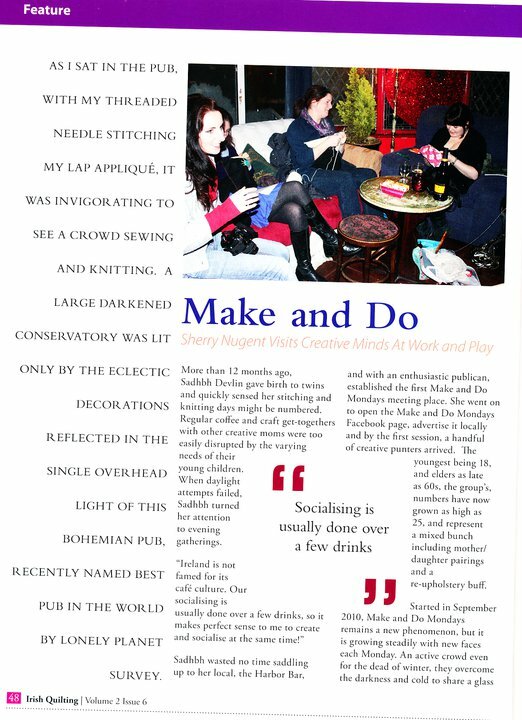 or the article that was written (ages ago now) in Irish Quilting Magazine about 'Make and Do Mondays' - the craft night I run in a local pub. Instead, I will tell you that Cártaí Rúbaí will have a stall on Sunday 26th June 2011 (terribly short notice, I know) at the Peas and Pods Market in Greystones Lawn Tennis Club and I'm really looking forward to it!! Do visit if you happen to be in the vicinity, it promises to be lovely. Also, there will be an article about Cártaí Rúbaí in Gaelscéal sometime very soon - I might even share it here when it's available! I'm beyond excited about it! Can you guess what it is? The 'Cártaí Rúbaí Product-line expansion' project is in the works! And anyway... I can always write about those other things another time... and maybe one day I'll even find a bit of time to figure out what this blog is all about... suggestions welcome in the meantime! 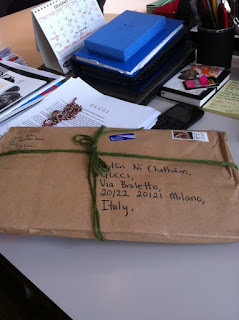 A lovely post Sadhbh - I always look forward to reading them. 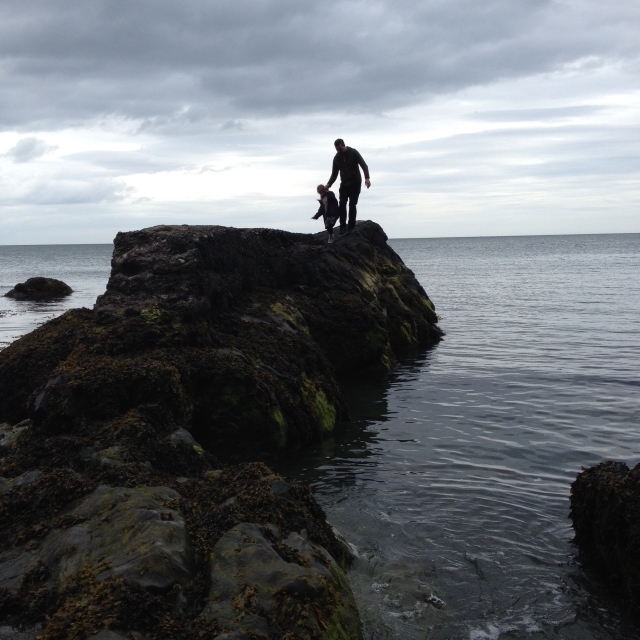 I like that you blog about your work, your crafts, your lovely little girls, friends and family - parts of your life - what makes you who you are, rather than just one facet of it. Thanks Lorraine. I always enjoy reading your posts too. Can't wait for all the details of the big move!